The not so classy Real Madrid | The Real Madrid Fan! Real Madrid CF, established in 1902, one of the oldest clubs in the world and awarded the Club of The Century, prides itself in being called the ‘greatest club in the world’. While it strives for trophies and at times, in race to be profitable and be most marketable, it treats people like dirt in order to achieve its mission. Actions that suggest that the club is a business, the sport is a business and people in it, are mere commodities. A means to that end, if you will. It has been evident over the years and it became even more visible with how the club treated Iker Casillas - its canterano, its club, its legend, a player who stuck through thick and thin for 25 years - during his departure for Porto. The transfer and how it panned out aside, his final press conference reflected how alone he was at the end. With the team gone to Australia for pre-season, Iker sat inside the press room, wept and gulped water to thank a club he’d given 25 years of his life too. Sure there was no time for a ‘Thank You Iker’ game but the end could have been so graceful. 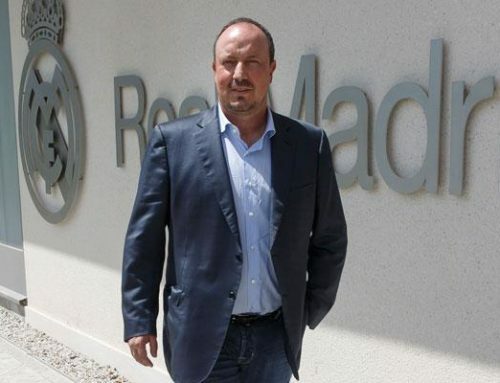 He could have had Emilio Butragueno and/or Florentino Perez by his side. There could have been a display of all the trophies he’s lifted - because in the end it is all about good images, things that are edged in one’s memory. But none of that happened. 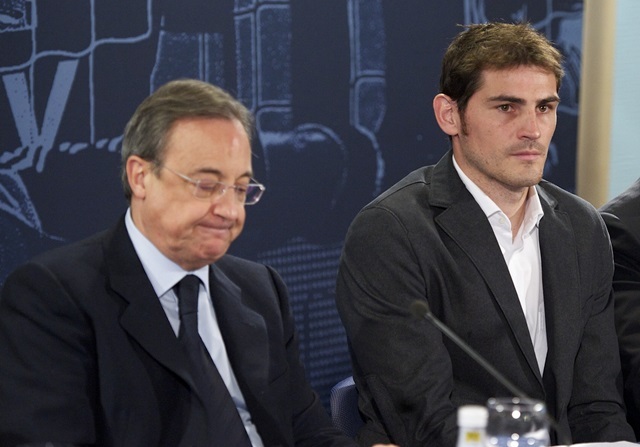 Now, Perez has called Iker for an event at the Bernabeu and the goalkeeper has accepted. A move, a damage control situation, that has come when the global press has derided the club for the way the two parted ways. Unfortunately, this isn’t the first time a person has been treated badly by the club. Or things not done perfectly despite years of work. We don’t have to go back long to remind ourselves of another such scenario. After getting the club La Decima in the first year in-charge, Real Madrid sacked Italian boss Carlo Ancelotti in the next. Yes there were no trophies in the second season (discounting Club World Cup and Super Cup) but it is unfair to managers to expect them to win something every season. What’s more, at the press conference to announce his dismissal, Perez was asked why Ancelotti was let go and the words were - “I don’t know”. This reflects how the board is impatient when it comes to results and there was no sound reasoning for the dismissal. Carlo managed a team and a locker room which was in disarray when Jose Mourinho left and the media were up in arms too. The Italian with his calm demeanour worked around it all and brought about the stability required. And in the end, got the boot when he needed the support back from the board. Many players including Cristiano Ronaldo, Karim Benzema, Sergio Ramos put their weight behind Ancelotti using their social media presence to put pressure on the board but it resulted to nought. If Ancelotti’s exit was poorly handled, Del Bosque’s goodbye takes the cake. And then some. Four years in charge at Real Madrid, having managed a huge list of stars, Del Bosque was let go after despite winning a title. In fact, he was the manager for the side that enjoyed two Champions League titles, two la Liga titles, a SuperCopa and a Super Cup and the (now discontinued) Intercontinental Cup. As the team celebrated the league title at home, his termination was in process and a day later, it was official. The Salamancan was gone despite heading a locker room with stars and their egos, handling Perez and his choice of players and reportedly his choice of XI’s. Perez told BBC in his defence: “Del Bosque was showing signs of exhaustion. I want to be sincere about this – our belief that he was not the right coach for the future.” Something which sounds quite like what he said at Ancelotti’s exit press conference. Like Ancelotti, many players were behind Del Bosque because of his attitude to let them be but it was not paid heed to. After Del Bosque’s departure, Makelele who had arrived in 2000 and redefined the defensive midfielder position which had then been christened as the “Makelele role”, Makelele asked for an improved contract despite earning substantially lesser than the Galacticos. A player who had been pivotal to the club and it’s play for three years, was not given the due attention and respect he deserved. Why? Maybe because he didn’t serve a lot of shirts. And the big names like Roberto Carlos, Zinedine Zidane, Luis Figo, Raul, Ronaldo, did. After Makelele handed in a transfer request and was gone to Chelsea, Perez remarked: “We will not miss Makélelé. His technique is average, he lacks the speed and skill to take the ball past opponents, and ninety percent of his distribution either goes backwards or sideways. He wasn’t a header of the ball and he rarely passed the ball more than three metres. Younger players will arrive who will cause Makélelé to be forgotten.” Makelele’s departure did not go down well with Zizou who very well said, “Why put another layer of gold paint on the Bentley when you are losing the entire engine?”. 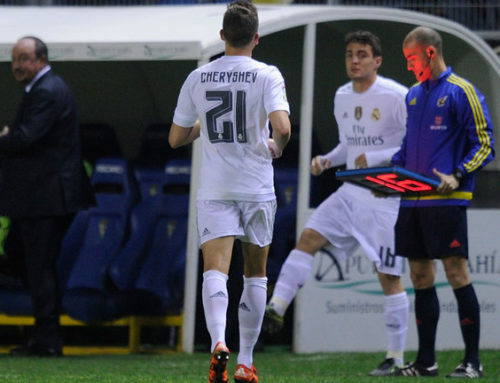 The ill-treatment of Iker as a captain isn’t the first time it has happened. Former captains defender Hierro and striker Raul also left without any due ceremony for their 14 years and 16 years with the club. While Hierro put in 439 games for Los Blancos, Raul finished with 550. With Del Bosque’s exit and the subsequent shakeup that happened, Hierro’s contract was not continued either. Forming a tremendous partnership with Ivan Helguera at the back, he was given no formal sendoff. There were hundreds of fans in protest over the decision of letting him and Del Bosque go. But, again, to no avail. He returned to Real Madrid as an assistant to Ancelotti but that stint ended with the Italian’s reign. 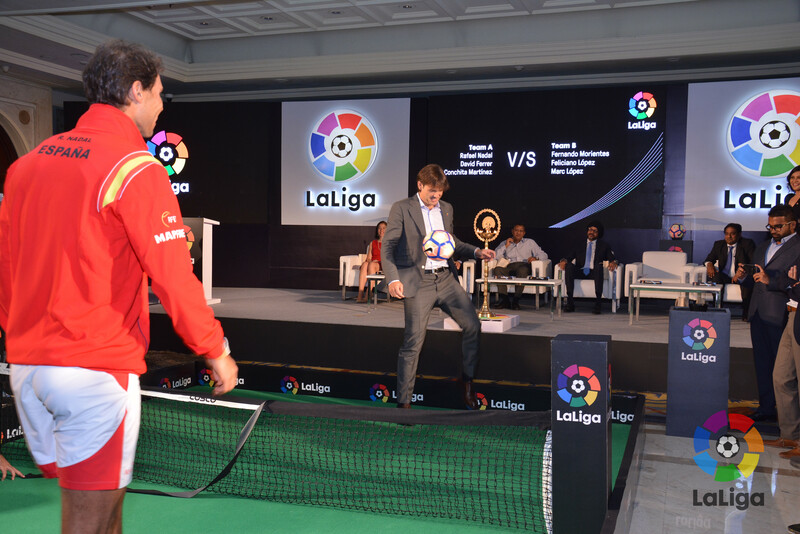 Raul boasts of numerous records, accolades and trophies both at a personal level and at a team level. His trajectory is like Iker, joined Real Madrid as a youth player and made his way up to the first team and made the position (striker) his own. And as luck would have it, both were on “lifetime contracts” and both had poorly handled exits. Raul had an injury that ruled him out of the 2010 season and at the end, a day after Guti’s 15 year old association with the club ended, so did Raul’s. In stark contrast to Bernabeu’s treatment of him, Schalke fans embraced him with open arms. He wasn’t back to his glorious best with them but he was happy and it showed. Raul got a farewell game in 2013 at the Bernabeu while part of Qatar’s Al Sadd.